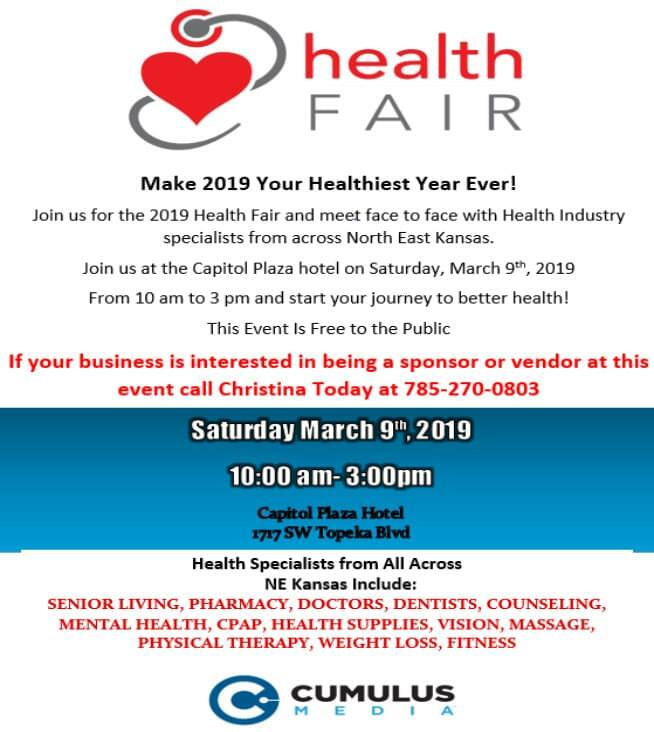 We will be having the 2019 Health Fair on Saturday March 9th, 2019 from 10am-3pm at the Capitol Plaza Hotel! Health specialists from all across NE Kansas will be there. The event is free to the public or if you are interested in having a booth space contact Christina at 785-270-0803!